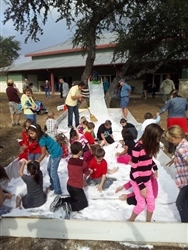 Our snow theme party creates 3 inches of instant snow on a 10 by 10 foot tarp plus 24 Mini packets to give away as party favors. With this party pack, you are all set to host a Frozen-themed party! Does not include tarp. 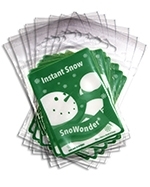 You get our 15lb mix, plus 24 mini packets of fake snow for kids. 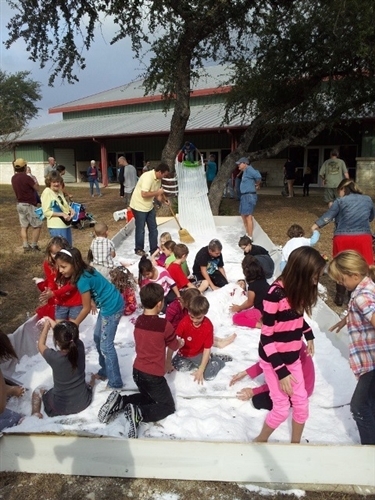 We also have snow making machines for sale and a Snowman Snow Machine here!